Want to digitize your favorite sculptures? Or are just trying to make space for new ones? Let LA3-D help you out with scanning that object and turning it into a 3-Dimensional Digital Object. We output all files to either .STL or .OBJ. You can have a digital file that can be stored in a computer instead of a shelf. Or you can modify this object digitally and 3D Print your next iteration. Click the link below to get started and submit a file for review today! 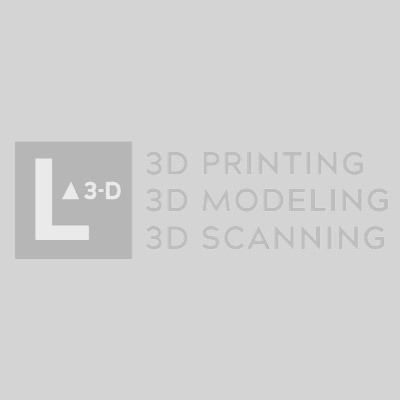 What is your 3D Scanning Fee/Rate? We do not have a set fee. Our price is based Per Project. Some objects are more difficult to 3D Scan than others and some objects may need to special preparation for 3D Scanning. We need to see what we are 3D Scanning in order to give a price. The best way, would be to submit images of the object(s), via our Submission Form, email and/or a phone call to discuss. How long will it take to 3D Scan my object? Once we have received images of object(s) being 3D Scanned, we will be able to give a range that it may take to 3D Scan object(s). Can you modify a 3D Scan? Absolutely! 3D Scanning in most cases is the starting point for reverse engineering objects. We would of course, need to meet and discuss details. Submitting images and rough sketches is always a great start. Can you 3D Scan my car? We sure can. Most car scans will be done onsite. First time 3D Scanning? Visit the link below!